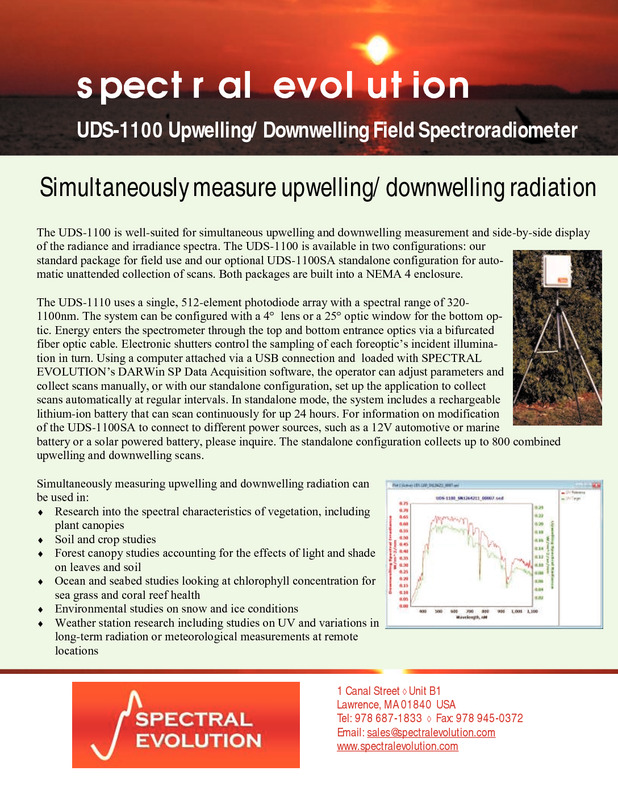 Now you can simultaneously measure upwelling and downwelling with SPECTRAL EVOLUTION’s UDS-1100 spectroradiometer. 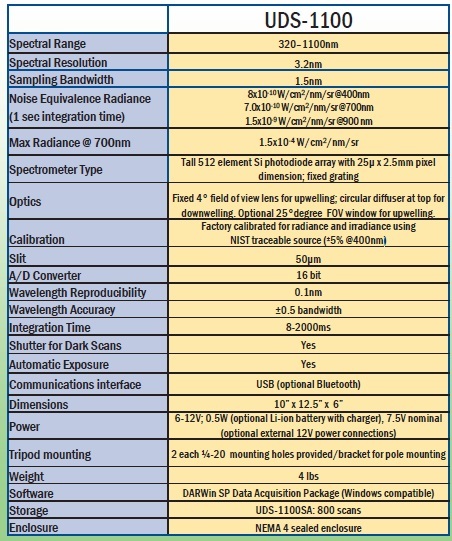 This field spectroradiometer is available as a field unit or in a standalone configuration – the UDS-1100SA. Both packages are built into a NEMA enclosure. 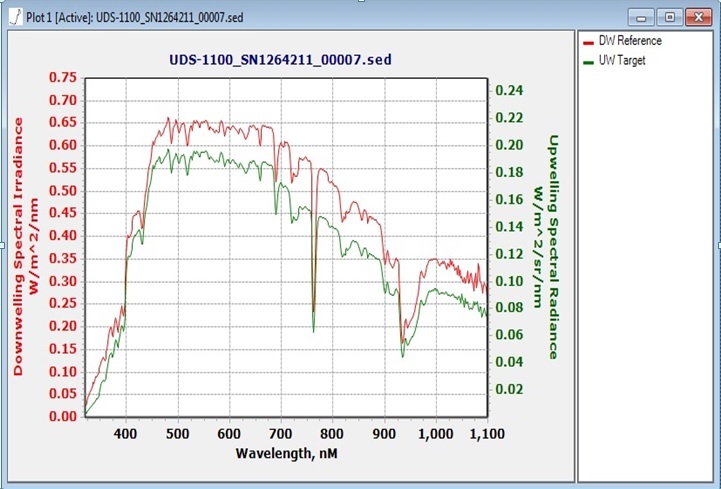 The UDS-1100 uses a single, 512-element photodiode array with a spectral range of 320-1100nm. The system can be configured with a 4 degree lens or a 25 degree field of view (FOV) window. 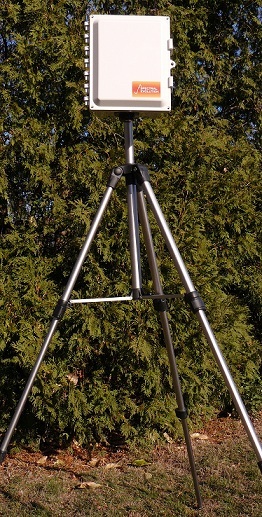 The four degree lens is used for upwelling; there is a circular diffuser at the top for downwelling. Using a computer attached via USB or Bluetooth, and DARWin SP Data Acquisition software, the operator can adjust parameters and collect scans automatically at regular intervals with the standalone configuration. The UDS-1100SA includes a re-chargeable lithium-ion battery that can scan continuously for up to 24 hours. 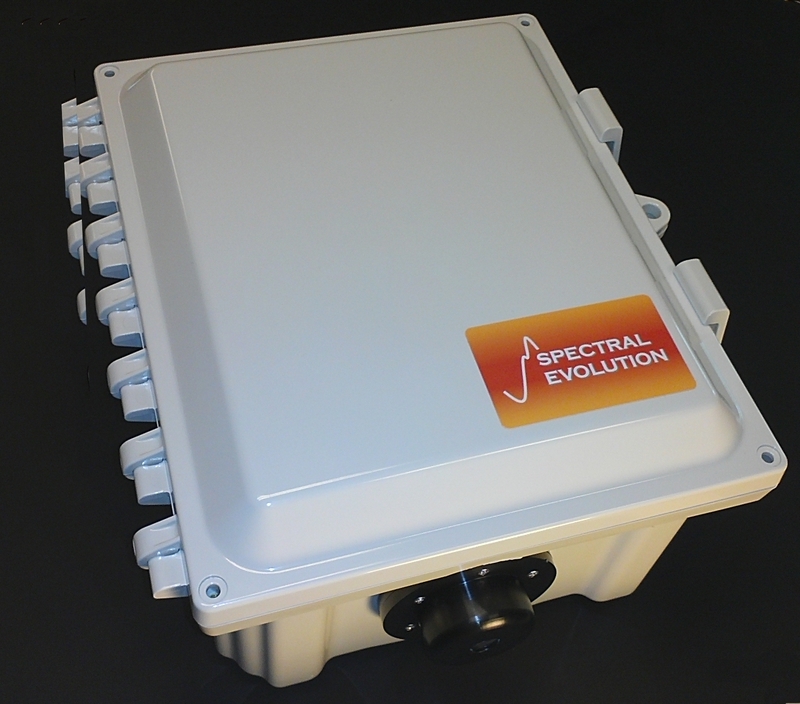 The standalone configuration can collect up to 800 full upwelling and downwelling scans. The UDS-1100SA can be configured to work with different 12V batteries, such as automotive, marine, or solar batteries – contact us to discuss options.